DCC-DDDA's current platform for The Big Lie is the Urban Beach. Apparently DCC-DDDA is spending large sums of Big Lie cash with The Mad Men to make itself look cool and friendly. 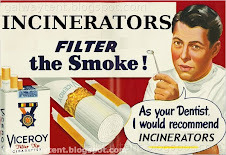 The Hawaiʻi theme used in DDDA messaging is curious as The Big Island has just rejected its proposed waste-to-toxics incinerator. Cynically, DCC-DDDA makes what appears to be the barest legally required minimal effort to go through the motions to inform the public of its actual goals and tactics, allegedly. Newspapers fail to gain full disclosure to DCC-DDDA information even when using the Freedom of Information Act. Is it cynical or just curious to place a small non-colour legal notice in a newspaper on a bank holiday weekend? Is this best practice as a means of informing the public? DCC-DDDA is shorthand for DCC and DDDA. Legally they may be distinct sub-entities of a larger entity, just as Covanta-Poolbeg and Energy-Answers-Rathcoole appear to be legally distinct entities. In practice, many people view DCC and DDDA to be the same entity resulting in cynically Balkanised control of land planning around Dublin Bay. It is very curious that an entity owning equity in property on Sandymount Strand also controls planning for the same property. And reports to a government minister in a constituency which is curiously being split, or possibly greenmandered, against al historic logic. DCC-DDDA's propaganda about The Urban Beach is totally absurd. DCC-DDDA in its former guise as Dublin Corpo filled in the real urban beach at Beach Road, after easy access to the beach by tram was removed. The community gain is the degraded health of local residents, studies of which have been cynically avoided. 25. 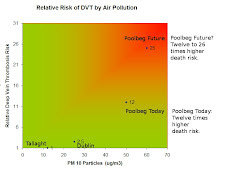 Dr. Browne asked the Minister for Local Government whether he is aware that the continued indiscriminate dumping of rubbish at Sandymount is causing a serious nuisance and inconvenience to the local residents, and constitutes a serious danger to their health in so far as it is likely to become a breeding ground for rats, disease bearing flies, mosquitoes, and other pests; and if he will take steps to advise the health authority responsible that, if the dumping cannot be discontinued, it should be so controlled as to obviate the dangers to health which it at present constitutes. Mr. Blaney: I have seen some newspaper references to this matter but I have received no complaints about it. I understand that the Dublin Corporation takes all practicable steps to ensure that the dumping involves no danger to health and that any temporary injury to amenity is kept within the narrowest possible limits.